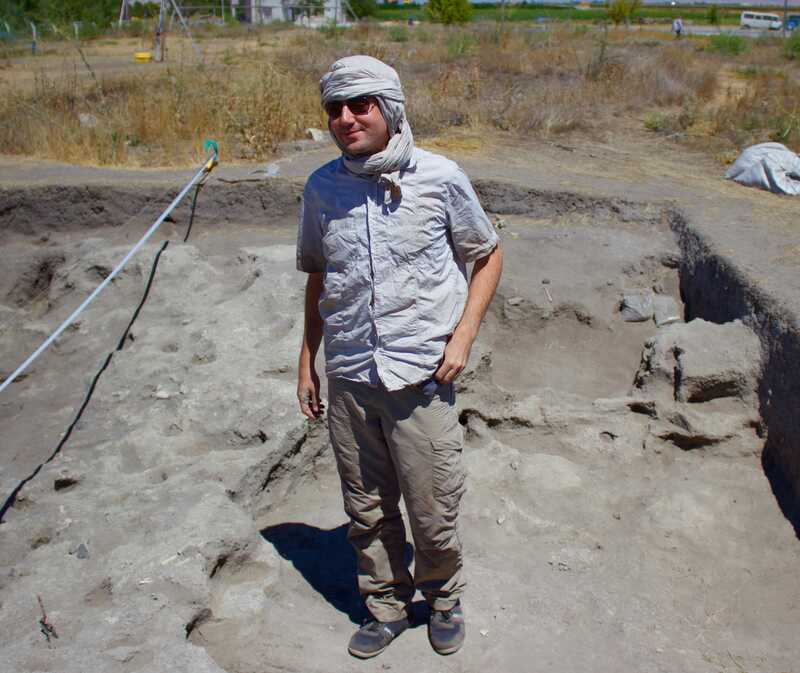 This year at Boncuklu, the focus of the excavation is on three separate trenches. Trench M is divided into two sections – West Deep, and North Extension. Both host extensive activity zones with phytolith layers (representing silicified plant cells left from spreads of reeds, mats and baskets) as well as midden deposits and ovens. One focus for North Extension is to achieve a better understanding of an area of coprolite (human faeces), which seems to have been a public toilet area. In West Deep, we aim to expose natural soil and uncover the earliest Neolithic layers at Boncuklu, which will help us understand the long term chronology, stratigraphy and history of the site. 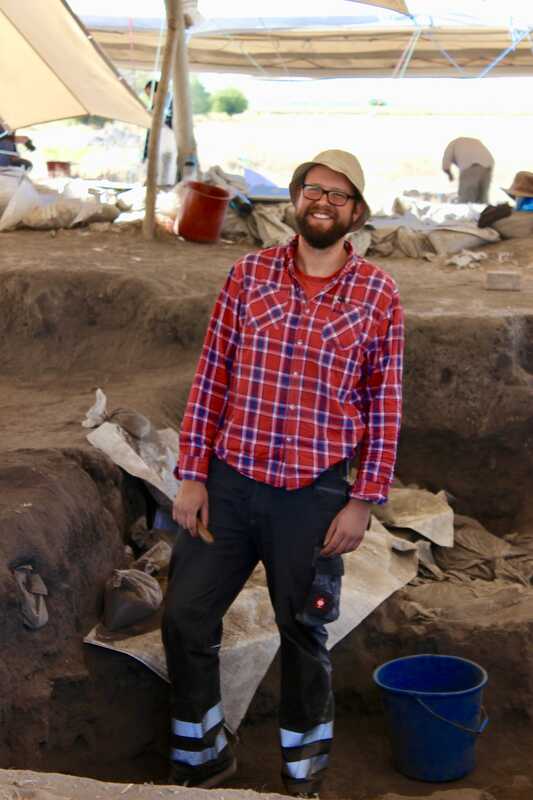 Trench M is supervised by Patrick, a PhD student at the University of Liverpool. 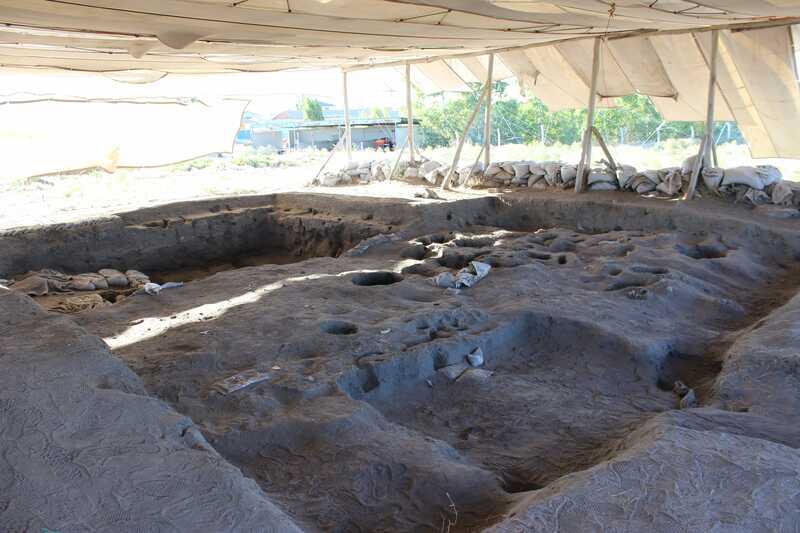 Trench P contains several buildings that have previously been excavated. 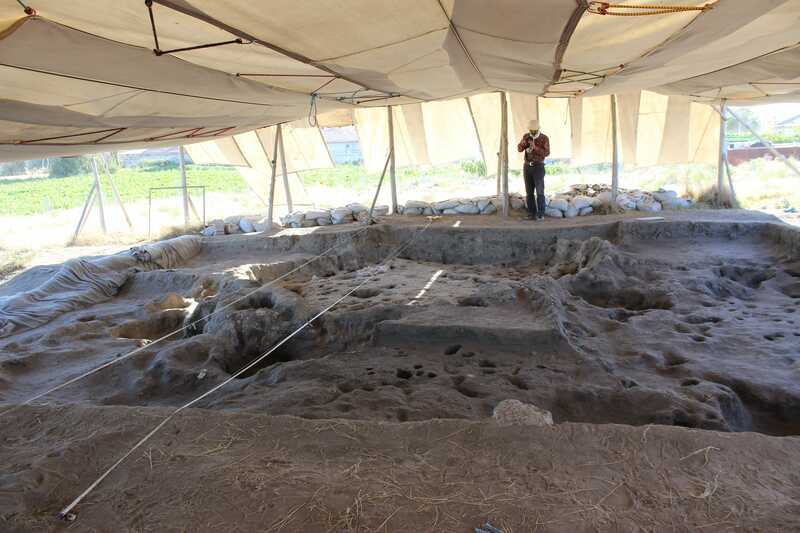 However, the focus for this year is the excavation of Building 21 which was first opened in 2014. 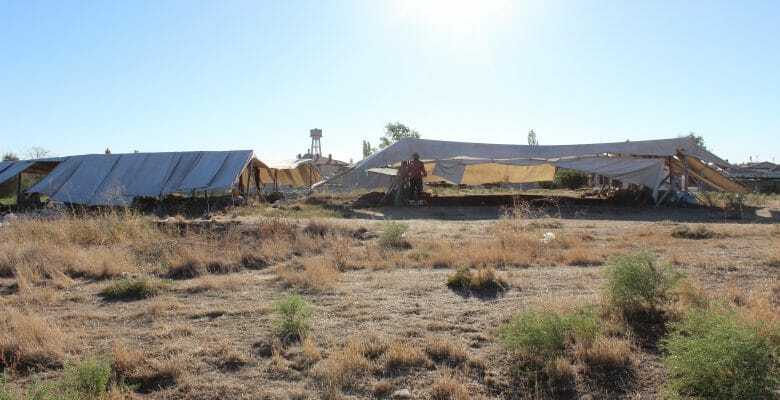 It is divided into two areas like most Boncuklu Neolithic buildings: a clean area, which contains a substantial grave with two burials; and the dirty area, which includes cooking facilities notably a hearth. We’re also trying to understand the external areas around and predating Building 21 where this year we have already uncovered an infant burial. Trench P is supervised by Hannah, a PhD student at the University of Liverpool.